Most of our events use a voucher program. This means you sign up the night of the event, pay $5 and get a $5 gift certificate. It's "free," essentially, but the voucher ensures we gain some sort of benefit from the event. Most people buy snacks and drinks with their vouchers, but for some it's the basis of most of their product purchases. A couple months of vouchers will buy you the latest D&D book, a box of Space Marines, or the average priced board game. To kick off the new year, we're starting up a New Guy Night, where you bring in a new person, someone who hasn't participated in our Game Center for over a year (or ever) and you (the bringer) get a free voucher that night, rather than paying for one. Also, just so you don't think we're overly sexist with our New Guy designation, if you bring a female participant (or if you are one), you and your guest both get a free voucher rather than buying one. We want to encourage more women. What about pay events? There are some events that aren't part of the voucher system because they include a lot of product with the event, such as Friday Night Magic. In those cases, you still get the $5 voucher for bringing the new guy, but normal event fees apply. 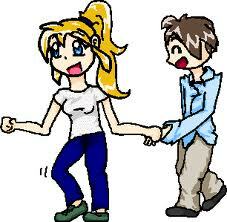 You can take advantage of new guy (or new gal) as many times during the month of January you want, as long as your bring a new person. If you have any questions, let us know. I'm making this up as I go. I was reading a very information post over at the Avalanche Press website about the costs involved in producing a board game. Getting their costs to line up with the correct retail price while staying in business is really hard. But you know what? It's hard for everyone involved in the game trade. Costs are rising faster than sales and there are only so many ways to save money before you have to make serious structural changes to your business. So what caught my attention was a mention of the discount structure for games. As described in the article, the publisher gets 40% of the MSRP, the distributor 10%, and the retailer 50%. Let me address that from a retailer perspective. First, that 50% retailer take has eroded over time. The main US distributor, Alliance, caps the discount for Avalanche Press to 49%. Established stores get that 49% but stores with less volume get a lower discount (or margin), probably starting at around 44%. Many product lines, like Games Workshop or Days of Wonder are at around 45%. Some product lines are even lower. In fact, my general, overall "gross" cost, for everything we sell in the store, is around 45%. The difference between that 50% and 45% might not seem like much money, but we're talking about a business with an overall profit margin in single digits. So how does a $64.99 board game break down for the retailer? First, $6.01 in addition to this goes directly to sales tax, supporting our local community. I'll throw that in there since many online shoppers evade this tax and our local communities are starving. It took two hours for the police to arrive to bust a shoplifter this week and our local DA has announced he won't be prosecuting assaults. Go ahead, punch me in the mouth. Nobody cares. Yeah, we're in good shape locally. Now brag to me about your Amazon purchase. Breaking up the $64.99 MSRP, we see that $33.14 (51%) was our cost of goods, assuming I'm at the top of the discount tier (I am with another distributor). That goes back into the purchasing budget to buy another copy of this game. That leaves $31.85 for the retailer. Should we go have dinner on this new found profit? Oh no, we're just getting started. $9.81 Rent, which goes up a contractual 4% a year. If you want to start talking about "deserve," start here. 9.75 Wages for the four, part-time guys and myself who sell these games. Wages are fairly stagnant right now, but a 3% rise a year is not uncommon. 1.91 Utilities and insurance. All utilities and insurance rise at a steady rate. We work constantly to find ways to cut costs here, like SmartMeters, constantly brainstorming about the optimal temperature for our game center (which I just calculated adds about $250/month to our heating/cooling bill). 1.49 losses due to shoplifting, shelf wear or internal errors. This can range dramatically between stores. Ours is approaching the higher end due to our higher crime area. 1.18 banking fees. This includes the very expensive credit card transaction fees we spend along with other bank related fees. One of these days I'll have to figure out what a "cash handling fee" is. I thought that's why I use a bank. Perhaps I should add a "game selling fee" to all our purchases. .95 loan payments for our expansion into our beautiful store and its additional inventory. This is where we gnash our teeth the most and hope to transform those payments into profit one day. .39 licenses, taxes, and other misc expenses. Corporate taxes, business license fees, office supplies, broken chairs, outside services like our once a year accountant or specialized IT support. A wizards spell book has nothing on the arcane notes our POS support people have for Microsoft. .22 advertising. This is one that we've cut way, way back on, but lately it shows and we need to ramp it up again. If game manufacturers did enough advertising, especially free (in money, not time) social media marketing, we wouldn't have to work so hard at this. In the past this has been as high as $1.30. So where's the profit? Where is my boat payment? $6.15 is how much I made on this game (before my personal taxes). That's actually not so bad. However, because manufacturers have felt pinched over the last decade, they've demanded higher margins and have increased our cost of goods an additional 4% more (on average) beyond what Avalanche Press demands. How do we pay for that? They don't care. So now, on average I'm working with $29.24 before expenses, which brings the total profit down to $3.54, or 5.4%. That $2.61 was the difference between success and failure for many stores. I propose we call this the "tap dance difference." Good stores (not crummy stores on the margins) that have survived this far have perfected a sort of "tap dance," in which they have some clever trickery, superior marketing or other technique they use to keep their doors open. These stores are generally fantastic. So what? All businesses need to be creative, right? Sure, but these very good stores are treading water instead of excelling like they should. The water is rising, the deck chairs have been re-arranged in innumerable configurations, yet they keep tap dancing. They love what they do. It's more than should be expected of them. They all know this. The crummy stores cut costs so deep that they're now in poor locations, with employees paid in Magic cards, with no advertising budget and questionable tax payment concepts. So talking about margin and who deserves what is an unfortunate way of looking at this. This is the business we're in. If brick and mortar stores cease being relevant to you, feel free to sell direct. Feel free to shop online (but watch for that punch in the mouth). If your property manager is comprised of a group of money grubbing attorneys who inflate their fees, go buy a building. Don't like paying staff? Work longer hours. Find a cheaper bank. Move your production from China to Vietnam. 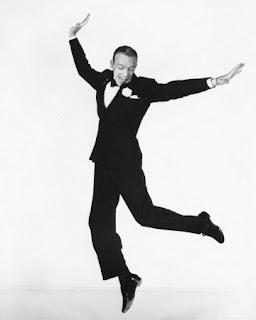 Start tap dancing. I've been doing a year in review for Pathfinder and Dungeons & Dragons. It's been a volatile year for us in the role-playing department. A lot of mid-tier game systems have "gone zombie," with our customer base decreasing and sales flagging. These games seem to be headed for online-only sales. Meanwhile, all our FATE based games remain very popular. As for Dungeons & Dragons, it has been our worst sales year since I opened over six years ago. That said, it's not all doom and gloom when you include Pathfinder in the numbers. Adding Pathfinder to the mix brings overall "D&D" sales to an average level for 2010. Now that we treat Pathfinder equally, stocking the full line like D&D, vowing never to be out of stock on anything like D&D, and considering it a valid option like D&D, we then have to ask, are we cannibalizing sales? The answer is most likely. But that's fine. We're not a Wizards of the Coast store, we're an independent retailer looking to fit the right game to the right person. If everyone is properly fit to the system best for them, it means we should see sales grow as they return for more. So what about D&D Essentials? It's true Essentials has re-invigorated D&D 4. There's a lot of new interest in Essentials, as it adds more flavor and options to the game. Does it go far enough? Don't know. Before Essentials, Pathfinder core rulebooks were outselling Player's Handbooks at a 2:1 rate. With some finagling of the numbers to account for the various Essentials books, it's at parity. Still, overall growth for D&D is flagging, with back list products languishing while Pathfinder holds steady. Worse, there's a sense that some of the D&D accessories may be obsoleted by Essentials. What has really been surprising is turn rates. D&D turn rates are down about 20% from previous years, which is no surprise with lower sales, but Pathfinder overall turn rates remain very high. It was a big gamble to bring in every adventure, every tile pack, and every accessory. When we carried a few of each of these, they sold extremely poorly, but in aggregate, they rock. Two thirds of Pathfinder sales are rulebooks, which are only four of over a hundred products, yet overall turns for Paizo products are almost as good as Dungeons & Dragons, which is rulebook heavy. Our D&D turns are at 5.1, while Pathfinder is at a surprisingly good 4.6. 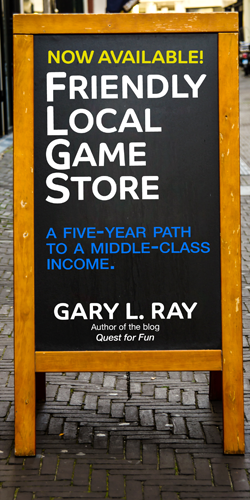 Really good turns are considered around 3, and most retailers expect far less from their RPG departments (small press games hover at around 1.5 for us, for a low end example). This means that, on average, every Pathfinder book we offer sells 4.6 times each year. In reality, core rulebooks sell something like 40-50 times and many supplements sell only once or twice in making up this average. However, I would postulate that you can't get those 40-50 sales without selling those slow selling supplements. It's something retailers know about Dungeons & Dragons or their 40K department. Shock and awe is the strategy, and it creates this "top of mind" position for your store in the heads of your customers. Will Black Diamond Games have the latest D&D or Pathfinder supplement? Hell yes, every time. Duel Terminals. It may not be your thing, but our two Yu-Gi-Oh Duel Terminals provide a unique physical product (Duel Terminal cards) with a video game experience. The "return on investment" is not nearly as quick as Konami promised (no surprise there), but they've still managed to be a nice addition to the store and a new revenue stream. The crowds of kids, rampant shoplifting, broken machines and cannibalized sales have largely failed to materialize. I hope we see more electronic investments in the game trade, such as various implementations of the Microsoft Surface when the cost drops. This is an example of an investment that only relatively successful stores will be able to make. Fantasy Flight Media Center. It's an iPad in a box streaming promotional videos about Fantasy Flight board and card games. We've had it for about a month and its best attribute is how it appropriately matches customer with game. Just as important as selling someone a game, the media center has dissuaded customers from buying the wrong game. That's really important, as it means it's providing valuable information and not just blindly selling with a lot of flash. It doesn't seem to attract people not interested in FFG games, but it's a valuable tool for those who are. It serves the existing base. Now, if the Euro game market in the US was more than a bunch of hollow shell companies, we might expect something similar. Maybe someone in Europe will take the lead. Hah! Facebook. We've had our Facebook fan page for less than one year, yet it has revolutionized our marketing with over 1,300 fans. There are some clear lessons we've learned about it. Although all the money we spend on Facebook advertising is to attract new people, it fails to deliver bringing them to the store without far more effort (which we haven't figured out yet). However, as a way to instantly inform our base, it's unparalleled. The lesson: Don't put all your eggs in one basket and don't completely discount old media just yet. Geo-Location Services. These have promise but have largely failed to deliver the goods this year. We give our Mayor on Foursquare a free drink when he visits (it bounces between a couple people) and Facebook Places still isn't ready for prime time. In fact, those who have merged their business Facebook place and page have found nothing but misery. Facebook will likely fix this in 2011 and make it useful. Their trend, it seems, is to ruin things before making them good. Facebook might also become an e-commerce portal for us in 2011, but it's another feature in its infancy (see our page to test it out). 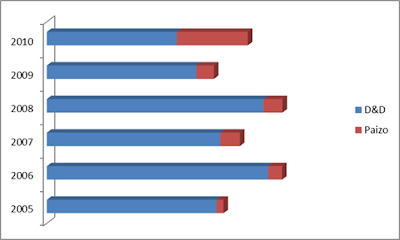 Smartphone sales, capable of using these geo-location services, are predicted to beat PC sales in 2011. Now it's up to the services to answer the big question: What's the point? Role-Playing PDF Programs. These are still getting hashed out, but the smaller publishers have jumped on various methods for us to deliver PDF products to those who buy print books from the store. Bits and Mortar is the current incarnation. Brick and mortar stores hope to play some role in the move from print to digital, and although it feels like grasping at straws, we'll work with what we have. My preferred future? Imagine a machine that could print an RPG book right in the store while you wait. An affordable print-on-demand machine is some years away, but we would be in line for that. That may be like wishing for an automated horse shoe installer at the dawn of the automotive age, but I think print will be around for some time to come. Again, it will only be available to stores with resources on hand who could jump on such a device. It reinforces my feeling that big changes are afoot. What else? Our main distributor finally got their online ordering system up and running. We can now check real-time (more or less) inventory in nearly a dozen warehouses nationwide using various online ordering systems from multiple suppliers. The question of whether something is available is no longer based on guesswork. The promise of electronic order submission is still in the works (it works for Diamond, the comics distributor). iPads have taken over as the device of choice on the more affluent RPG game tables and iPad games based on popular hobby board games have been very successful in the market (do they drive sales back to the store? Sometimes). I personally use an iPhone app called PFR when playing Pathfinder, which is quicker to reference than the core rulebook (it's the iPad app of choice in my game group). As a DM, I still prefer books. Let me know if there's a tech trend that you've taken advantage of this year. Yu-Gi-Oh Duel Terminal. It looks like a video game, but it's more. It dispenses a special Yu-Gi-Oh card capable of being scanned on the integrated flatbad scanner (and used in the tabletop game, if the card is in official circulation). After a card is scanned , it can be used in the electronic portion of the game. We've got two machines, networked for head-to-head play. New card releases have been put out quarterly, more or less. These are big in Japan (one of the few times that has worked out for us). 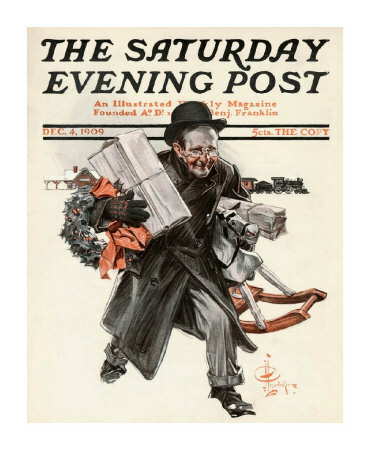 As a recovering elitist, one that came from high tech and the "new" economy, I often have to hold my tongue at those who decry the holidays as a morass of evil consumerism. These feelings are generally espoused by iPad wielding, highly educated, liberal dweebs (takes one to know one) who claim that they will never step foot in a brick and mortar store again, that all of the world is available online, and that the rest of us are rubes for partaking in our annual mob-like frenzy of consumerism. I used to be one of these folks, crowing that I found my house online, my cars online, and even my WIFE online! The online world was mine for the taking. Now that I'm an old economy small business owner, I have to object to the lumping of all of us into the McRetail category of mass consumerism. Over half the non-government jobs in this country come from small business and most of the money you spend with us (two thirds according to American Express) goes into the local community, something you won't get from the likes of Amazon, a company that fights the demand that they collect sales tax. I've considered creating a flow chart of how $100 spent at my store flows into the community, but you would find it shockingly complex. It would include dozens of taxes, including everything from supporting the local schools to mosquito abatement. What most of those dweebs (again, takes one to know one) miss is that we're part of our communities. By definition, if we've survived this long, through recession and the predatory practices of the Wal-Marts and Barnes & Nobles of the world, we must be offering something our communities want. We support local charities, advertise in school newsletters (pretty infective but responsible), and attempt to work with our communities when our interests intersect. We do this because they are us. This is lost on the dweebs because they generally don't have much sense of community. They are consumers, not customers, not regulars, and definitely not hobbyists with relationships with their local businesses. I believe they rail against their own sense of disconnect with the world around them. Their relationship with the places they buy are often no more than a website and a credit card number. So when they encourage holiday boycotts of businesses, it's usually because they've already got their orders placed on Amazon and can't see the point of leaving their suburban homes to join the hustle and bustle, and definitely don't know why you would spend a dollar more down the street, or pay sales tax if you didn't have to. They see their dollars flowing to China rather than their local communities, so why not? Alright, rant off, and feel free to slip that iPad under my door. Each store has its own shopping patterns, determined by its community and location. A mall store might look forward to a massive increase in foot traffic in December, while a store that's defined by its college town may not even see strong holiday sales. If you love to spend the holidays traveling, visiting friends and relatives, consider opening a store like that. As a destination store in a strip mall, we have our own shopping patterns that are different from the previous two. They aren't better or worse, just different. Ramp up. Our sales patterns are normal up until Thanksgiving. We cater to hobby gamers with about two thirds of sales to regulars. The general public, folks who come to shop for what I call classic games, makes up about 10% of our sales. In the middle, making up the rest of the pie are hobbyists who are infrequent customers who are hard to quantify. From Thanksgiving to the second Friday in December, we see holiday ramp-up. During this time, our regulars disengage from the store. Our events are sparsely attended and our sales of new releases fall off. Game companies take great risks during this period by releasing products not related to the holidays. Promoting them during the chaos can be difficult and they often get overlooked later. Most hobby game releases by big companies in December are pretty low key. While our regulars disengage, the gift buying general public tend to fill in the gaps, shopping primarily for board games, but also the list little Johnny submitted to Santa (lots of 40K). The Ramp Up period is usually a kind of wash for us, with our holiday shoppers making up for the disengaged regulars. Customers tend to be happy, receptive and polite. Mid-Month Frenzy. We don't quite get the frenzied sales of a mall store, but from the second Friday (today) to Christmas Eve, we have about double our regular sales, requiring some good planning so we're not overwhelmed. For example, this year I'm orchestrating a second POS system to handle receiving of new product to free up the register for customers and avoid chaos in the cash wrap area. Our displays have been tweaked for weeks now, especially in our board game department. The sound has been turned down on our Yu-Gi-Oh terminals, the board games have been arranged based on sales patterns, and Christmas music is playing on the stereo. We'll have extra staff on hand during peak hours. Again, it's board games and miniature games that see a big boost, with board games selling double their normal numbers and everything else up a respectable amount. This is the period when customers can be the most trying, as these folks are harried and occasionally even resentful they have to come to us at all! Post Christmas Aftermath. It's not over yet. We've got one more week of strong, holiday sales followed by two weeks of above average sales as our regular customers return, filling in the gaps of what they really wanted for the holidays. As a kid, I tended not to get any of the games I wanted for Christmas, so this was the period when I spent my "grandma money" and returned a lot of the stuff I was given for the stuff I really wanted. In the past, this period into mid-January was followed by two weeks of slow sales when I would usually take vacation. That period is actually pretty good for us now and with a kid in school for the first time, my vacation plans will have to wait. It's a breath of fresh air to see our happy, regular customers once again. Although the holiday money lets us do great things in the store, I wouldn't do this for long if it was like this all the time. There are a lot of gift guides floating around out there, so you may be wondering what people in our area have really been buying this season, as opposed to games they're encouraged to buy. Here's a list of our top selling board games for the Fall. There is some holiday contamination on this list, but they're mostly solid games that cross the various board game genres (including some card games). Also, I put an asterisk next to each game on one of the gift lists, including: Boardgamegeeks holiday gift guide, SF Chronicle guide, Critical Gamer, The Speil, Gamer Chris and The Morning News guide. Consider them both endorsements and reasons for why these games are top sellers. 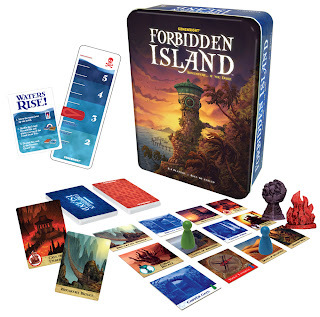 Yes, Forbidden Island is that damn good and at a really good price. Other games not on the list that are on many of the best games lists: Telestrations, Lords of Vegas, Magic Labyrinth and Dixit. Profit motive. The only reason to do online sales, as far as I can tell, is to make money, and there are far easier ways to make money than to sell boxes of Magic at $5 over cost or D&D books below Amazon's insanely low price. I've got nothing against money, but in a big store like ours, we could see the same level of profits by adding a new product line. There is actually some money in brick and mortar stores, and if you have a profitable one, it's easier to be more profitable by just focusing your efforts. Market saturation. The opportunity to open an online store to sell games successfully has passed. The sweet spot is to offer product at a 20% discount. Below that discount level nobody will buy from you, ever. We've tried that. Above that level and you will fail, or so says the common wisdom. There are already superb places to buy online at that mid-level (Paizo does it perfectly, I think, with a vibrant online community). There are other models, like the Troll & Toad version, where you buy up used stuff and sell it along with new stuff (used stuff and collectibles get really high margins). 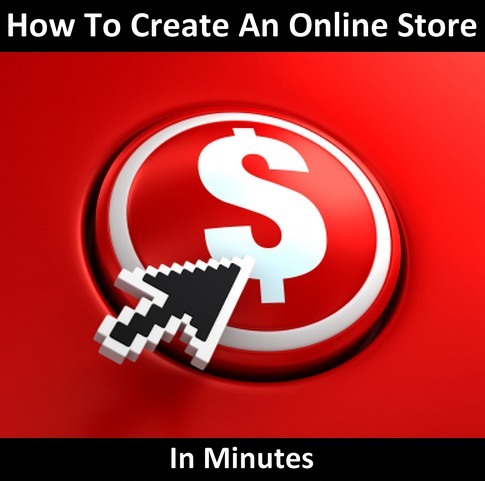 Opening an online store is no longer the thing to do when you start your brick and mortar business. Impersonal. The goal of our brick & mortar store is to build a community who will then buy our products and support our store. Talk to me in the early afternoon hours when I'm selling Cokes and Pop Tarts to our unemployed regulars while multi-tasking, and I might get a little surly about the value of community, but it is what we do and we do it fairly well. Online sales are about the money and the online customers don't care if you live or die. And I can tell you from my Ebay sales with some of the most idiotic customers on planet Earth, vice versa. Again, there are exceptions (see above). We do. Oh yeah, we do online sales. It's mostly on Ebay and primarily overstock items. We used to be more invested with an Ebay online store, but that was before Ebay got too greedy. We're experimenting with a shopping cart on Facebook, but we've had few sales, even at ridiculously low prices. People don't buy things on Facebook. The real reason we don't sell online is I believe the effort it takes to do it right and the risks involved are not commensurate with the rewards. In other words, I haven't figured out how. I have a plan on how I would do it, but it makes only a small amount of sense. I don't understand what value I'm adding to the experience. Also, it would require a significant investment, a huge, distracting amount of time, and skill sets that I possess, but couldn't possibly divide between my current business and this new endeavor (again, if done right). It would require lots of labor. If I really wanted to do it, I would consider buying an established, marginal online retailer rather than starting from scratch. *And that is why opening a game store is called a "lifestyle job" and not a serious start-up with the proper new business intention of making money. 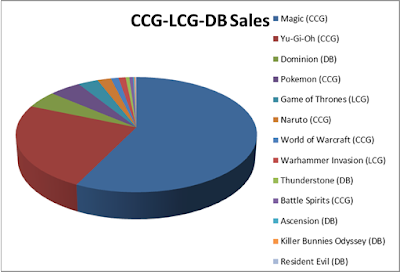 I was looking back on CCG sales, comparing 2009 and 2010, and not surprisingly, it looked pretty much the same, with the exception that a lot of lingerers finally expired. Then I was thinking, since we expanded the category to include Living Card Games (LCG's), originally established by FFG to find a "living" home for CCG properties that couldn't survive the brutal format (and then to introduce new games), what if we expanded it to include deck building games, like Dominion? Dominon has not become the methadone for Magic that many had hoped (or feared). Our Magic players looked at me like I was cracked when I explained it to them and suggested they give it a shot. Why? I think because it came from the board game world, in a board game box, pitched by an aging guy who is not one of them. Heck, Dominion won board game of the year in Germany, a big boon for sales to board gamers, but also confirmation that it is "not from our world" by the CCG crowd. I am more sure of this now because a LOT of them have tried the Resident Evil deck building game, arriving tomorrow, and many have pre-ordered it. Resident Evil is made by Bandai, a company that does edgy CCGs. Bandai sent a kit to our local Bandai event organizer, a guy who has been getting people interested in Naruto and Battle Spirits for years. His Resident Evil demos have resulted in far more early interest than Dominion ever did, and across a wide spectrum of our customer base. So want to get CCG players to play your deck building game? Stop selling it like a board game. Personally, Dominion doesn't scratch my Magic itch. It lacks the kind of crunchy deck building obsessiveness of Magic, that activates the pleasure center in my brain. It's the same button that gets pushed when I spend two days "crafting" a Pathfinder character, compared to "making" a character in D&D 4. It's just how I'm wired. Great games, all around, but they don't do it for me. So here's a chart showing all card playing activity lumped together. We know the CCG model is money if you can get your foot in the door (that door is mostly closed). We know that LCGs are a tough road, but can work with a hot property. Now you can see how self proclaimed deck building games do for us. I say self-proclaimed because I don't know that we've really defined the category very well (feel free to comment on their characteristics below). SNF, Stuff Not Magic, is still not a big part of the pie. Everyone has pretty much accepted that Magic has won at this pont. Magic is the Coke of the CCG market, with the unassailable lead (Yu-Gi-Oh is our Pepsi, The Choice of a New Generation®). LCGs and DBs are attempts at innovative card games with more stable revenue and less risk than trying to break into a mature market. Dominion might be a sensation in the board game world, but as you can see, it's third tier when dropped into the CCG market. Still, I have a lot more faith in a slow selling, stable DB game than a third tier CCG that could burn out at any moment.